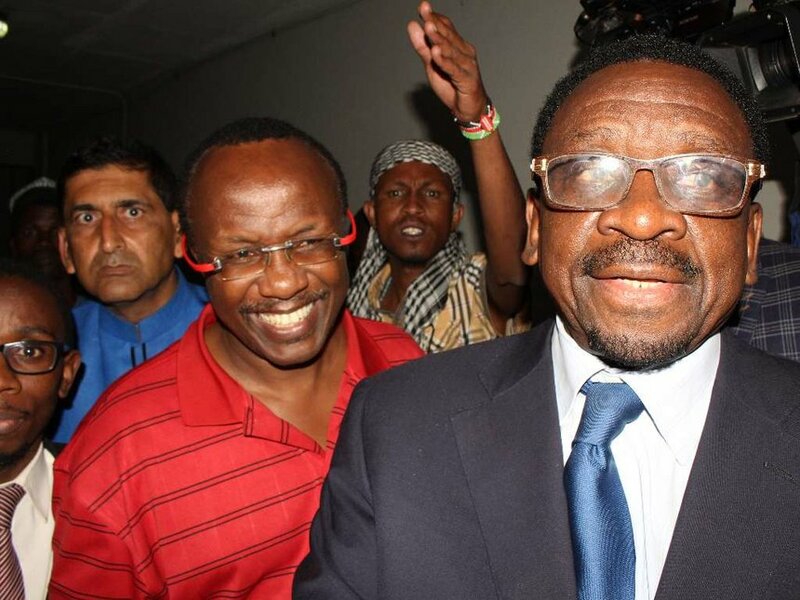 Economist David Ndii is the sixth opposition strategist who has fallen victim of a ruthless state crackdown that began shortly before the August 8 poll. The clampdown has reportedly alarmed key associates to NASA leader Raila Odinga, but the coalition says the swearing-in of the former Prime Minister on Tuesday is unstoppable. On Monday evening, the seven-member committee of the People’s Assembly released an unsigned statement condemning the arrest of Ndii and announced “inauguration” plans are on course. “Arrangements for the constitutive session of the People’s Assembly to be held on December 12 where the Kenyan people will, among other things, install the leadership and unveil a roadmap to electoral justice and the rule of law are very advanced. A detailed programme will be released by NASA leadership in due course,” the committee said. On August 5, just three days to the botched August 8 election, detectives pounced on two directors of Aristotle International Inc, a US-based campaign data mining company that was consulting for Raila. Aristotle CEO John Aristotle Phillips, an American, and Canadian staffer Andreas Katsouris were dramatically deported and narrated painful experience at the hands of the police. Aristotle said he was confined to a boot of police vehicle that took a circuitous three-hour route to JKIA. He also claimed one of the officers pointed what appeared to be a gun in his direction. On the night of their arrest, Raila’s tallying centre was also raided by suspected state agents. This is believed to have punctured Raila’s parallel tallying plans. During that period, two Ghanaians flown into Kenya to help with the management of the tallying centre, were also expelled. Then came the two-day raid on the home of businessman Jimmy Wajingi, believed to be among Raila’s financiers. Armed officers demolished sections of the posh house in Muthaiga as they searched for what they claimed were illegal firearms. The siege on Wajingi’s home was only stopped after NASA lawyers obtained restraining orders. At the height of anti-IEBC demonstration on October 12, Interior Cabinet Secretary Fred Matiang’i announced they would charge NASA CEO Norman Magaya for calling for the street action that turned chaotic. Magaya, a law don, is at the centre of the coordination of Raila’s activities and coordinates with all the four NASA affiliate parties. There were indications of plans to arrest him but NASA immediately moved to court and secured restraining orders. The coalition has since changed tact and only notifies police of planned political meetings through their advocates.